Since 2000, Floracliff has offered a variety of educational programs knowing that a greater understanding of the natural environment leads to a greater appreciation of it. 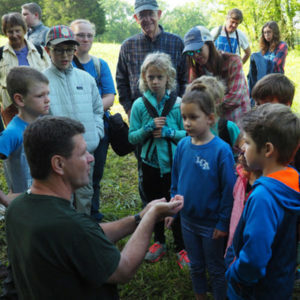 Every year, hundreds of visitors attend programs at Floracliff covering topics such as trees, water quality, ecology, wildflowers, pollinators, birds, herpetology, geology, and more. We work with community volunteers and state and university partners to diversify our program offerings and continue to provide new, engaging ways for visitors to experience Floracliff. To provide quality educational experiences, visitation to Floracliff is limited to small groups and based on the number of hike leaders we have available. Limiting visits to small groups also strikes a purposeful balance between protection of the sanctuary and promotion of the region’s natural history. Our educational programs include regularly scheduled guided hikes, workshops, private tours, and field trips. 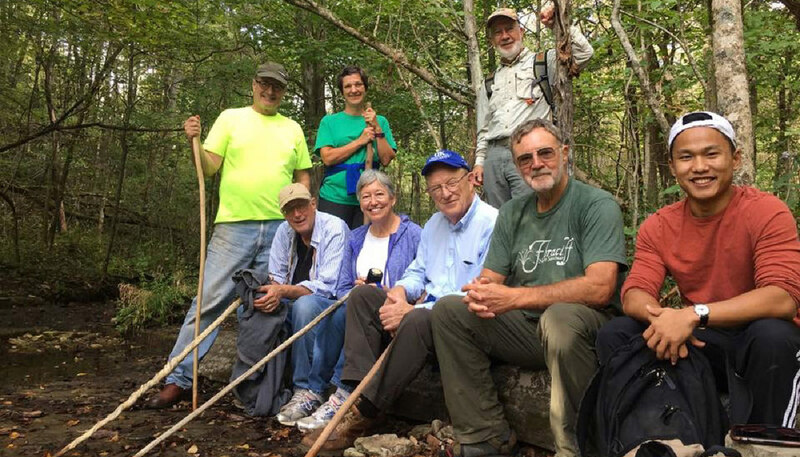 We schedule a variety of guided hikes throughout the year with Spring and Fall being the busiest seasons. 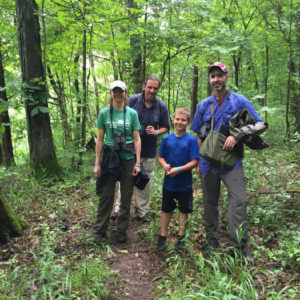 Hikes are led by Floracliff staff, volunteers, or partners who are knowledgeable about the topic covered during the hike. We hike at a leisurely pace, cover 1.5 – 3 miles over 2 – 3 hours, and include at least one break along the way. All hikes require pre-registration and sometimes fill up quickly. Please see our calendar of events for scheduled hikes and programs. 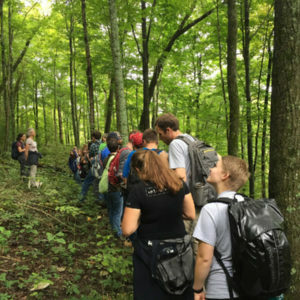 In 2012, we developed the Floracliff Field Studies Workshop series to highlight biodiversity in the Central Kentucky and give people in-depth learning opportunities with unique hands-on field experiences. Workshops are offered over two days with outings at Floracliff and other natural areas in the region. Topics have covered mushrooms, aquatic diversity, ferns, herpetology, insects and spiders, geology, spring flora, trees, lichens, and more. 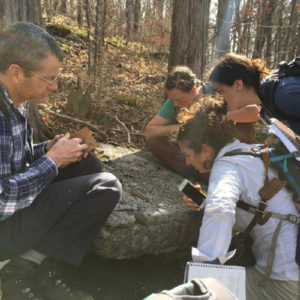 Workshop participants gain experience in species identification, biological surveys and collection techniques, and field observations. Indoor presentations include natural history, ecology, life cycles, and species behavior. While the workshops are open to anyone, we think they will be of particular interest to naturalists, biology students, science educators, and land managers as well as those with a strong passion for the subject. We typically offer three workshops a year. Please see our calendar of events for scheduled workshops. Private tours can be arranged for small groups of 5 to 20 people. Due to our small staff and other scheduled programs, we tend to have more openings on weekdays than weekends and ask that arrangements be made at least 2 weeks in advance. Private tours are $15/person and 1.5 – 3 hours depending on the chosen trails. To inquire about a private tour, please email info@floracliff.org. Floracliff provides a unique setting where students can get hands-on field experience and focus on a variety of lessons. University and K-12 groups visit the sanctuary to study forest ecology, tree identification, plant taxonomy, entomology, water quality, stream biodiversity and more. We can accommodate up to 30 students an outing, depending on the topic and hike leaders available. Please email info@floracliff.org to inquire about field trips.